Manchester United have triggered the one-year extension into forward, Anthony Martial's contract to keep him at the Old Trafford until 2020. 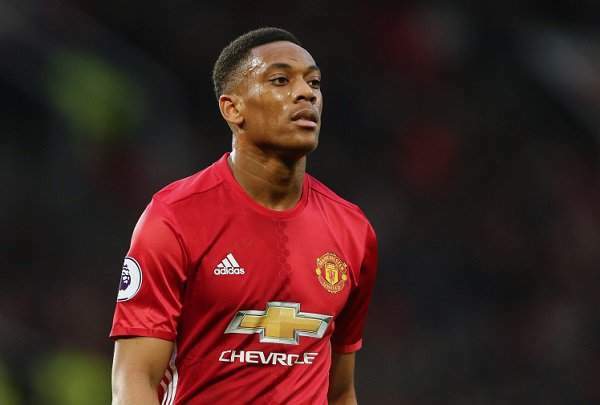 According to BBC Sport, Martial was technically approaching the final six months of his current deal but the Red Devils have added a year to the forward's deal. The report claimed that discussions between the France international and the club are still ongoing over a long-term deal. Martial has scored eight goals for United so far this campaign. The 23-year-old will hope to leave Jose Mourinho's men to victory when they tackle Cardiff City on Saturday. Meanwhile, United are also in talks with the likes of Ashley Young, Juan Mata and Ander Herrera, who are approaching the last six months of their current deals.